Liquid Compost Extract, earthworm castings and other amendments grow gorgeous lawns. 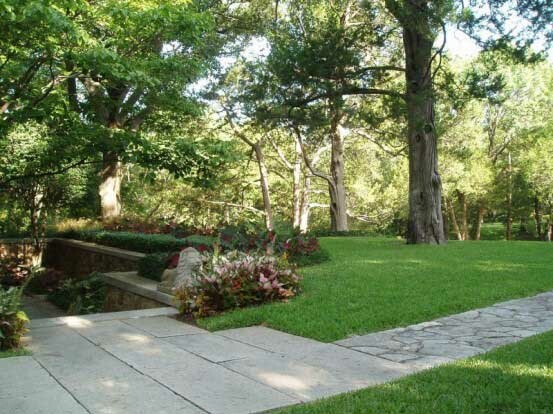 Winter weather can be tough on our lawns in DFW. The big swings in temperature can leave your landscape feeling a bit confused. 70 F degrees one day with freezing rain the next can quickly lead to damage in your lawn and landscape. When plants aren’t yet acclimated to cold temperatures, their leaves, stems and roots are more susceptible to cold damage. The best way you can help to mitigate the damage caused by such extreme temperature fluctuations is to build a strong, healthy soil. Summer landscapes benefit from winter treatments. With the record-breaking rains over the last 12-months, we’re still working on helping soils to recover from over-saturation and nutrient deficiencies. All that heavy rain compacted soils and leached a lot of valuable nutrients from your lawn and landscape. More on how the rains affected your lawn and garden HERE. If you are on our year-round Soil Building program, we’ll be visiting your landscape this month and in February to give soil a boost it needs to get through the rest of winter. Liquid Compost Extract: An all organic, nutrient-dense application that is even more nutritious than compost tea. We make it on-site from the most high-grade compost. Liquid compost extract is the closest thing to compost in a liquid form. It benefits soil with its abundance of naturally-occurring live elements. Want to know more about Liquid Compost Extract? Watch this video HERE. Humic acid is the main component of the organic parts of the soil. It makes up the elements in the humus, peat, coal and other materials. It is composed of various amounts carbon, oxygen, hydrogen, nitrogen, phosphorus and sulfur depending on the source of the humus. Decomposed plant material that is broken down by microbes in the soil is called humus. Its benefits are aplenty. Humic acid is an organic soil feed that helps improve nutrient uptake by your lawn’s roots, improves drought tolerance, and chlorophyll production. Humic acid is also a food source for beneficial soil microbes. Want to know more about humic acid? Read about it HERE. Earthworm are your garden partners! It’s not only their activity in the soil that helps aerate it and improve its texture, it’s also their waste (called castings) that is like gold to the garden. We add earthworm castings to our winter treatment to resolve soil compaction and offer up available nitrogen for your lawn. Earthworm castings act as a slow release fertilizer for your plants. They will stimulate plant growth just in time for the return of warm spring weather. Looking to improve water retention in your lawn and garden? Earthworm castings can help with that, too. Want to know more about earthworm castings? Read about it HERE. The Liquid Compost Extract, humic acid, and earthworm castings applied this winter will jumpstart and revive the lawn and garden beds in preparation for spring growth. As always, everything we do serves to increase the bioactivity in the soil and improve soil texture so it can better support a healthy and great looking lawn. Looking forward to a healthy lawn this season? Then don’t skip this important treatment!